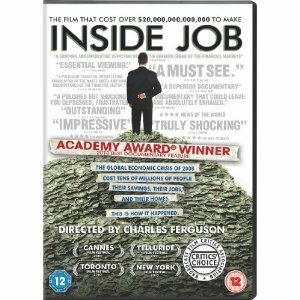 As he did with the occupation of Iraq in No End in Sight, Charles Ferguson shines a light on the global financial crisis in Inside Job. Accompanied by narration from Matt Damon, Ferguson begins and ends in Iceland, a flourishing country that gave American-style banking a try–and paid the price. Then he looks at the spectacular rise and cataclysmic fall of deregulation in the United States. Unlike Alex Gibney’s fiscal films, Enron: The Smartest Guys in the Room and Casino Jack, Ferguson builds his narrative around dozens of players, interviewing authors, bank managers, government ministers, and even a psychotherapist, who speaks to a culture that encourages Gordon Gekko-like behavior, but the number of those who declined to comment, like Alan Greenspan, is even larger.